Rich in history, beauty and emotion, Florence is a city where the past and the present feel equally alive. That timeless character has inspired the four experiences in the new Florence Rhapsody package at Four Seasons Hotel Firenze. 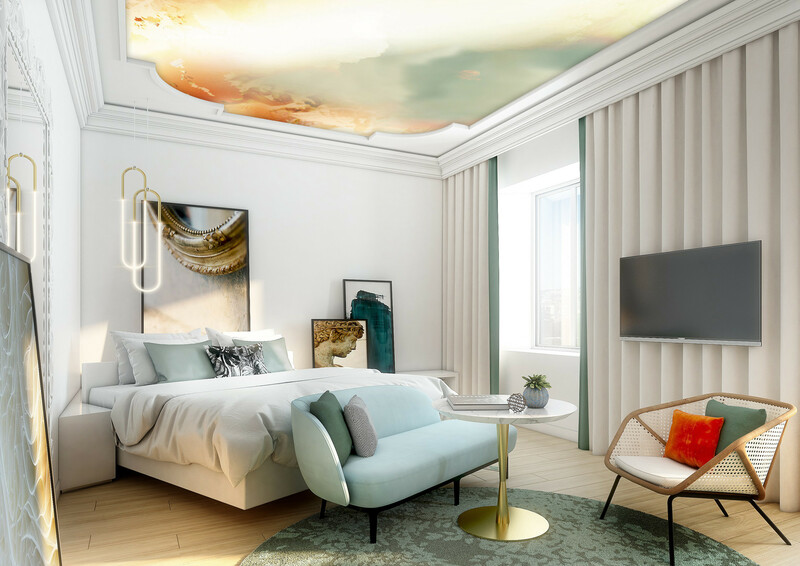 These experiences have all been personally developed by members of the Four Seasons management team to reflect their own passions and interests – helping Four Seasons guests enjoy easy access to some of the city’s rarest, most thrilling opportunities. Popularised in the 18th century, hot-air balloon rides provide a truly magical travel experience. At Four Seasons, guests take off from the historic private park that’s framed by the Hotel’s two Renaissance palazzi. Gently catching the morning breeze, the balloon floats south above the Duomo cathedral, the Uffizi Gallery, the Ponte Vecchio and into the Tuscan countryside. After about an hour, guests land and find a picnic waiting in a field, along with a luxury SUV to drive them back to Four Seasons. On one of the world’s most iconic bridges – built in the 14th century – Four Seasons guests can enjoy a sumptuous Golden Dinner. 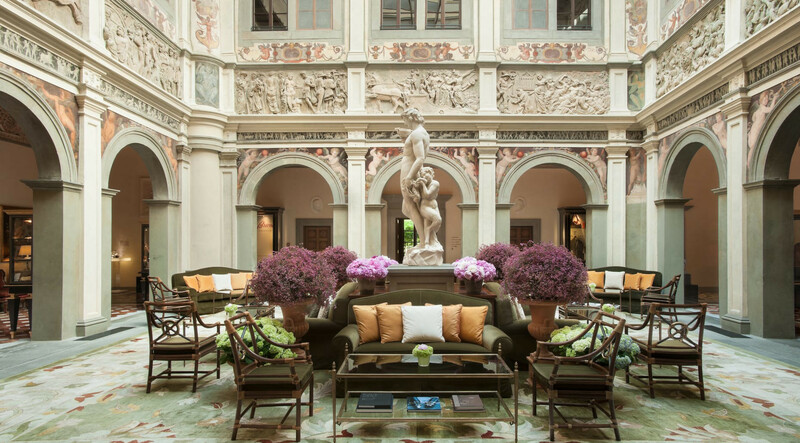 Four Seasons Hotel Firenze has secured exclusive access to the bridge’s only open-air terrace, tucked above the glittering jewellery boutique Dante Cardini. 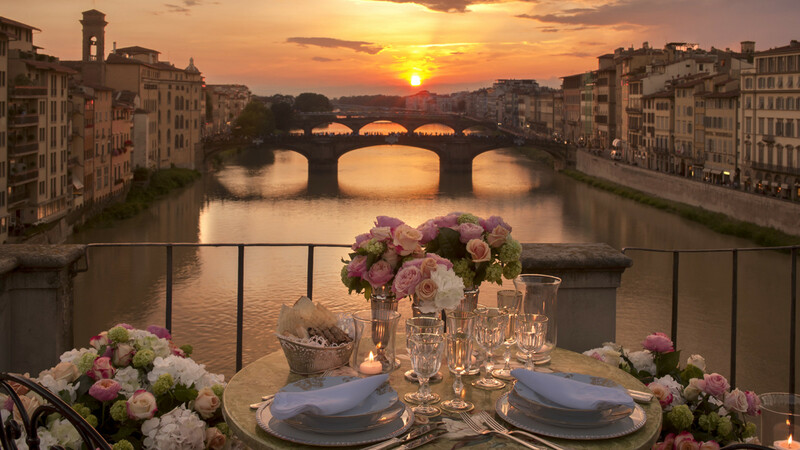 As the sun sets, up to four guests can savour unparalleled views of the Arno River before indulging in a four-course gourmet meal designed by the Hotel’s Michelin starred Executive Chef Vito Mollica. The venue is kept secret, so as to preserve the privacy of this family-owned palazzo dated from the 15th century, former residence of Leonardo da Vinci said to be the place where he painted his most famous piece of art, the Gioconda. 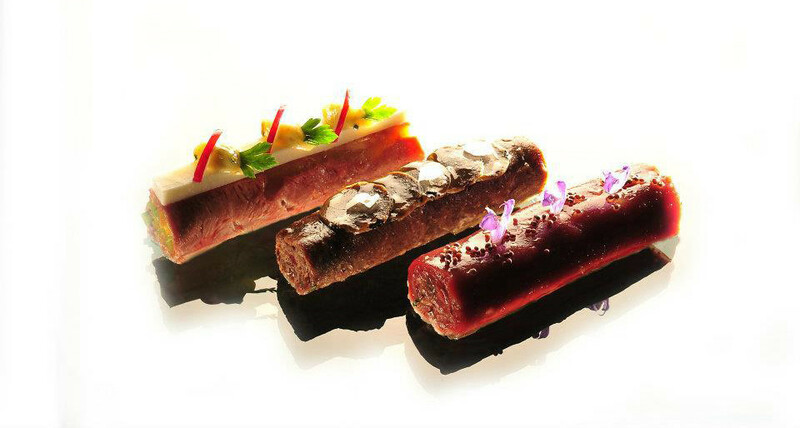 There, on the fourth floor of this historical Renaissance building designed by Giuliano da Sangallo and located steps away from the Palazzo Vecchio in the city centre, guests can taste the exquisite cuisine of Michelin starred Chef Vito Mollica, with an entirely customisable menu, and live a moment out of time. 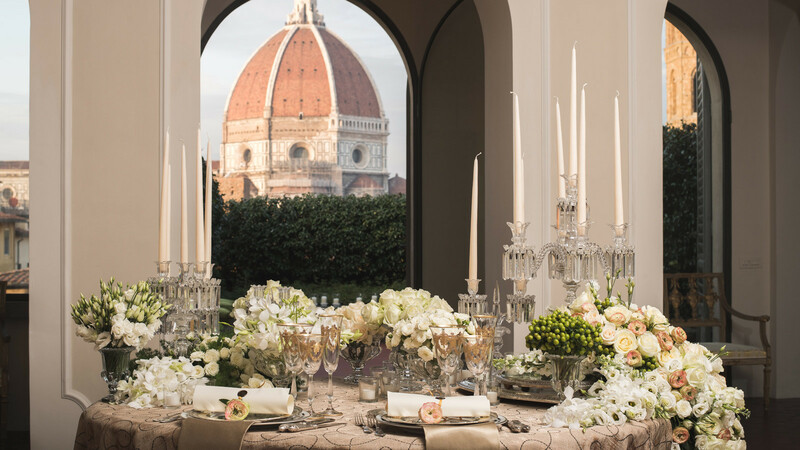 The view on the Duomo is so spectacular that it seems to have invited itself to the table - decorated for the occasion by the expert care of Artistic Director Vincenzo Dascanio, with cascades of flowers and candles. Additionally, from May to September, guests booking the Florence Rhapsody package will also be entitled to enjoy a Cruise on the Arno to experience the riverside landmarks of Florence aboard a 150-year-old traditional Renaioli boat, originally used to collect sand to build the palazzi of Florence. A real Renaiolo serves as captain and guide, ready to answer any questions as he uses long wooden oars to push along the bottom of the river. 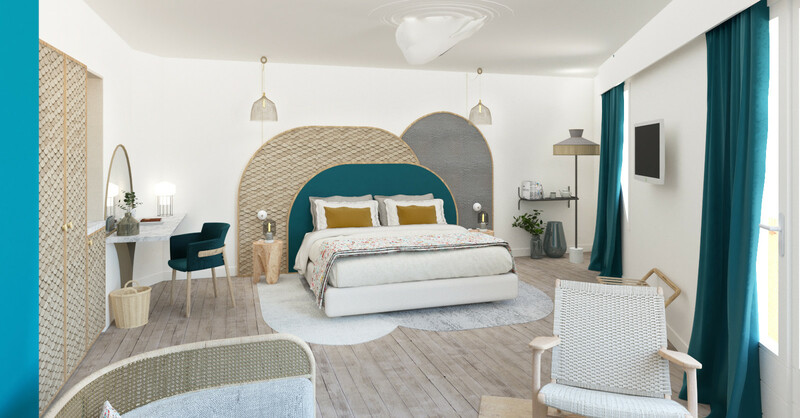 With Florence Rhapsody, when guests book a stay of three nights or longer at Four Seasons Hotel Firenze, they can choose one of these four experiences. The experiences are also available à la carte. 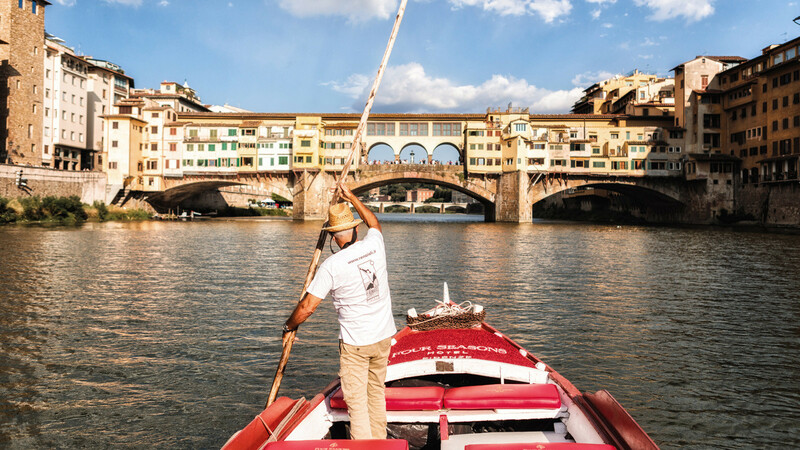 From May to September, a Renaioli Boat Cruise on the Arno River is automatically included in the Florence Rhapsody package, subject to weather conditions.